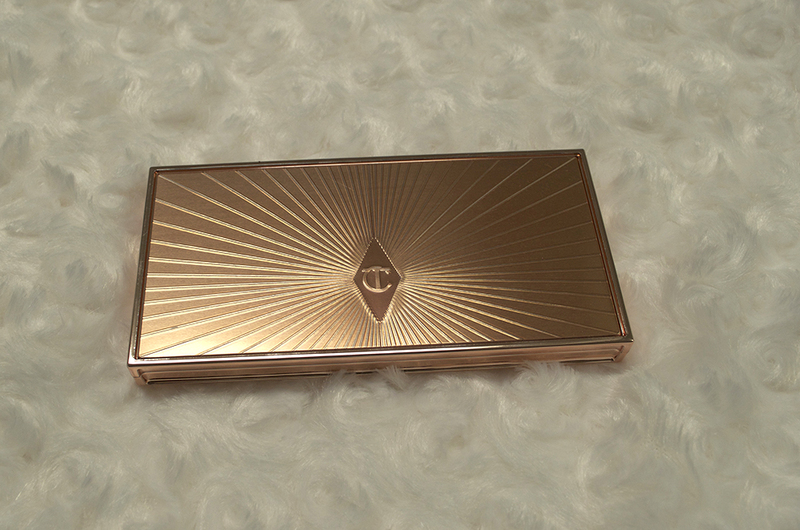 Charlotte Tilbury Filmstar Bronze & Glow Palette, Worth the Splurge? 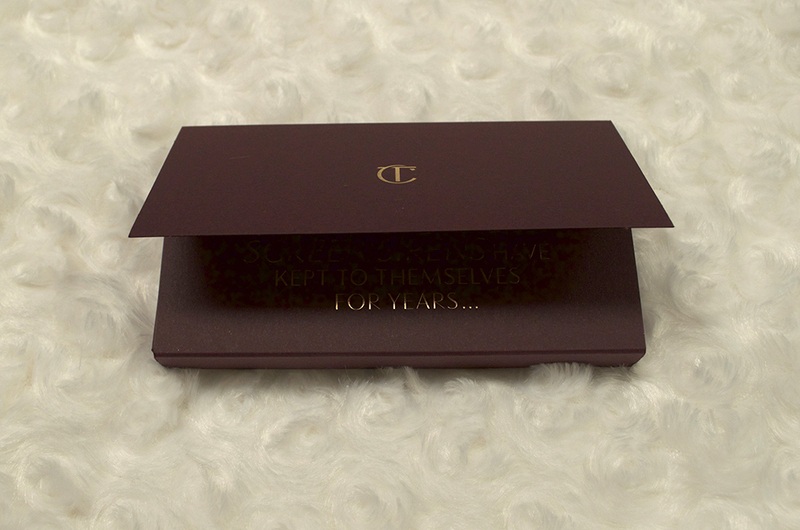 The packaging was very luxurious and made the product even more worth it for me. 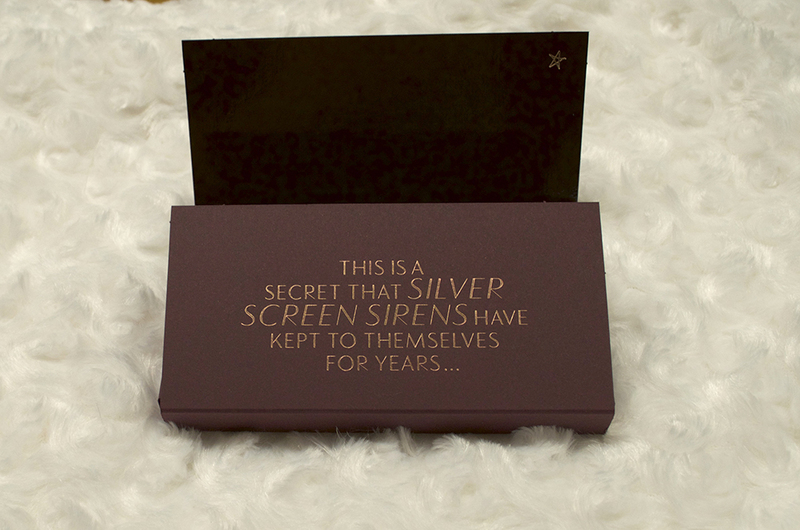 And after you reading all the words on the packaging you finally get to the product! 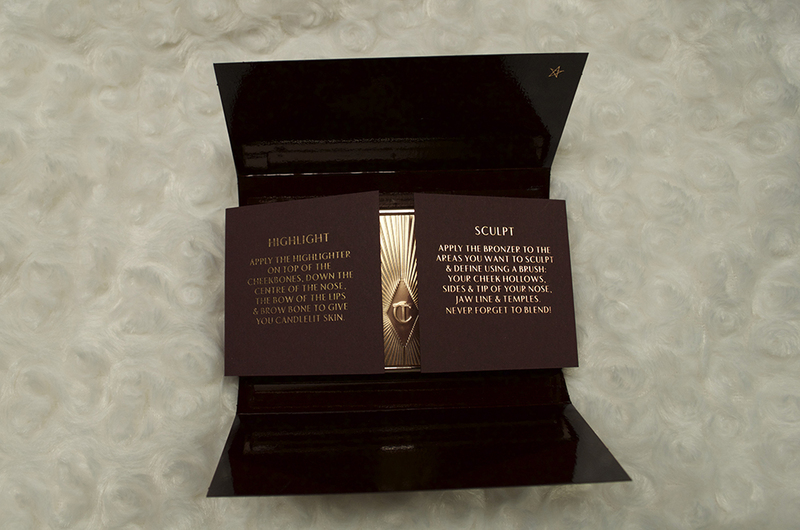 After I fell in love with the packaging I finally get to see my sculpt and highlight powder. 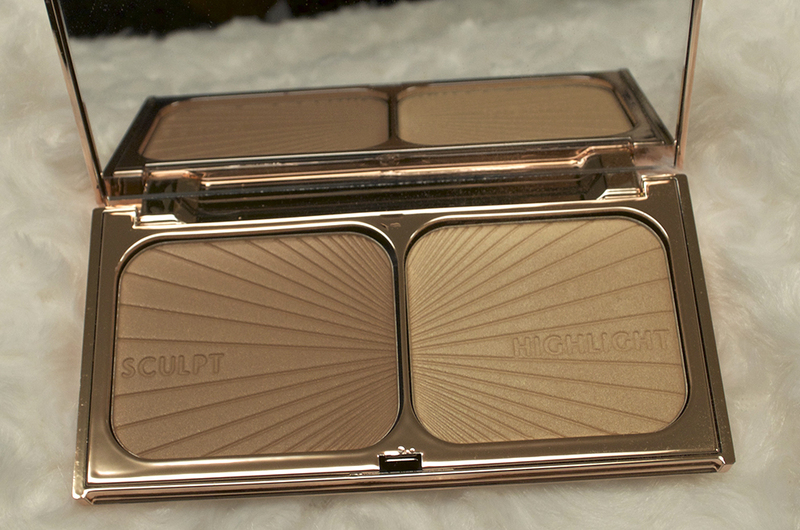 It looks absolutely beautiful, I love how shimmery it looks. 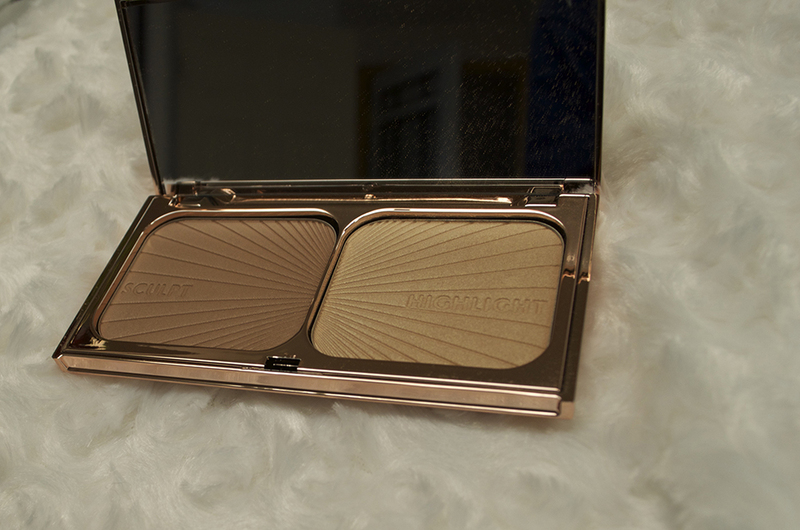 I'm speechless, there are no words to describe this palette but I will say that the highlight shade is similar to Champagne Pop except it's a little bit more gold. 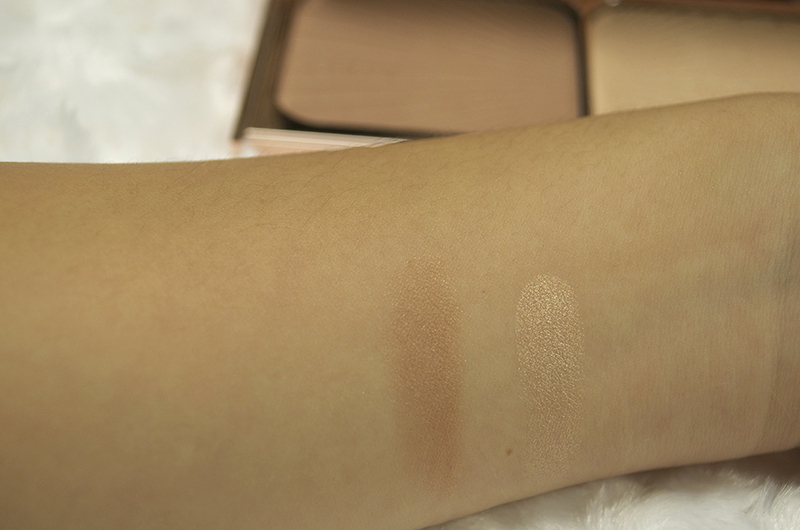 This is the swatch without flash and you can already see the sheen from the sculpting powder. 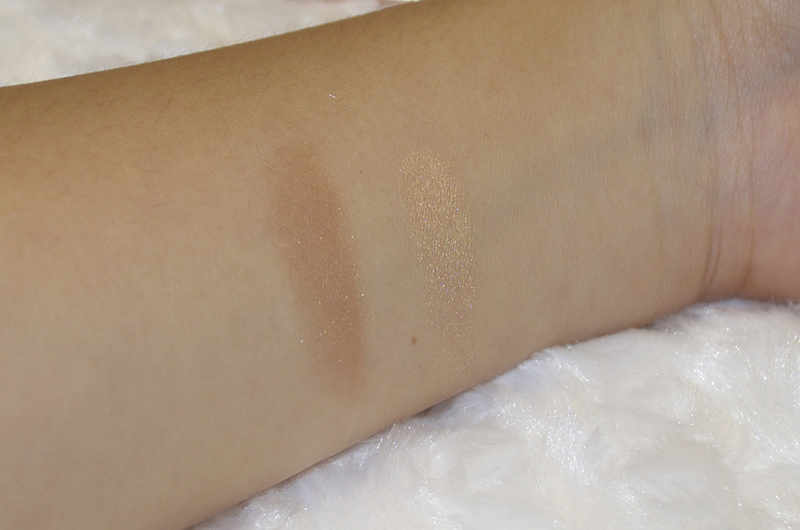 This is the swatch with flash and could you imagine how fabulous this would look on your face especially with flash photography? 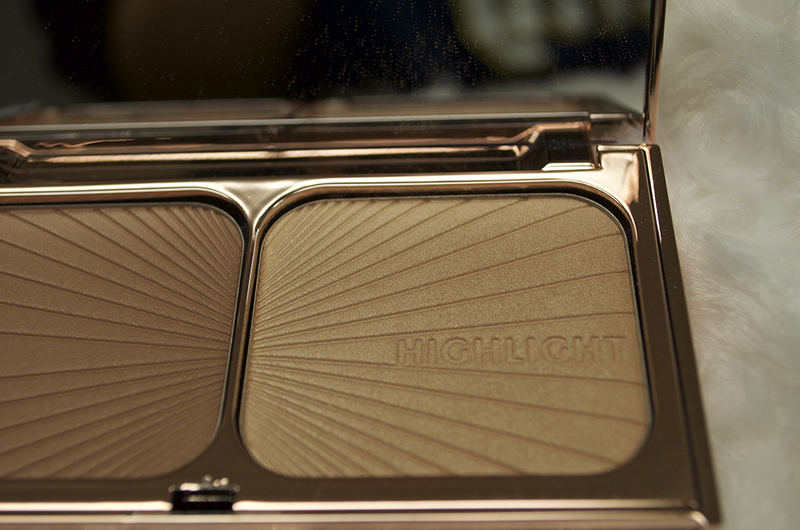 The highlight shade is STUNNING. 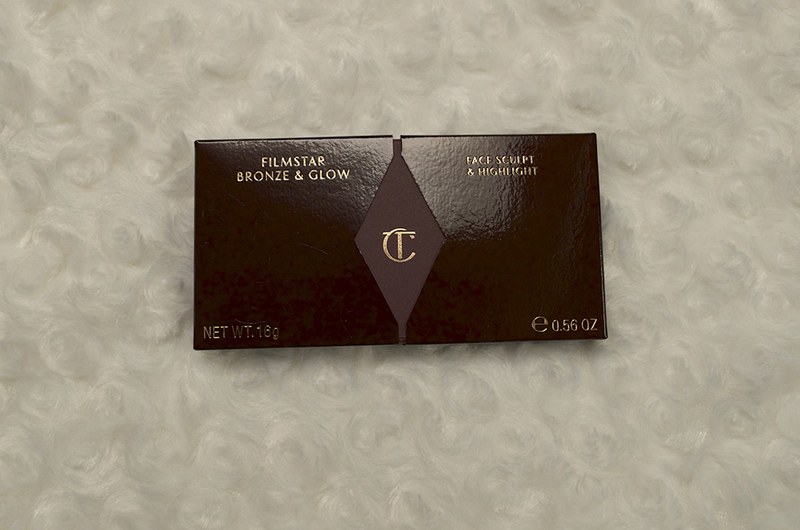 Overall I highly recommend this to those of you who can't get enough of highlighting powders as well as bronzers. 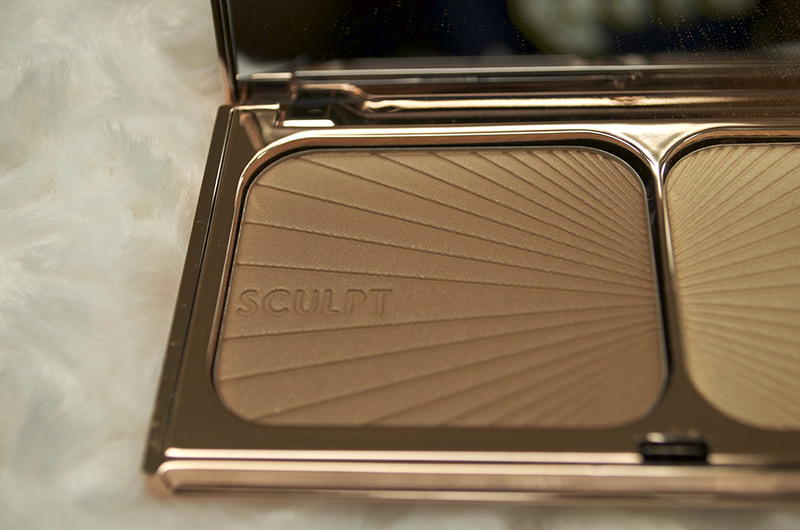 I wouldn't use the sculpting shade for contouring personally but more for bronzing. It is a little bit on the orange side but it's just too pretty to complain about. 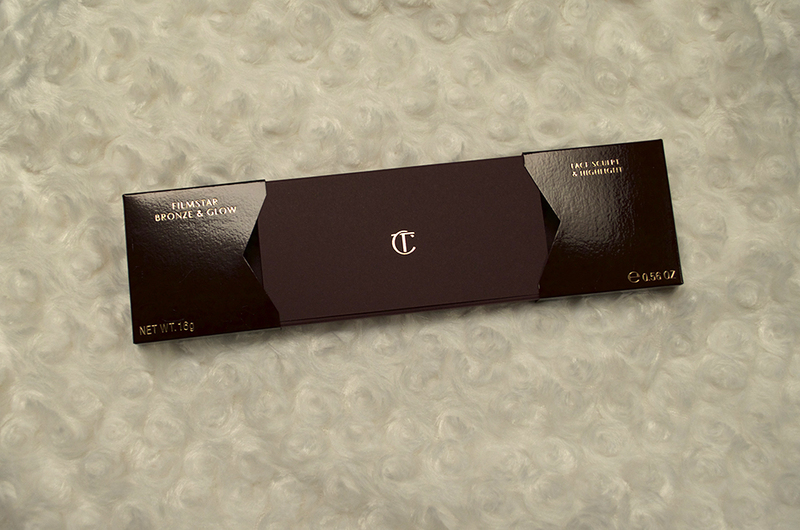 The powders are also very long lasting. I was out in the sun all day and even when I got oily my bronzer & highlight stayed in place. That was what impressed me most of all because with my oily skin products usually slide off and disappear by the middle of the day.